There are showers and all the amenities needed. Our spa also offers an array of teas, coffee, and water. You can enjoy this for the day or purchase a multiple day pass. 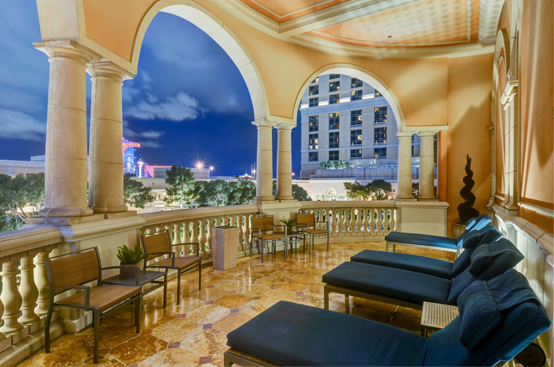 The Men's spa features a private balcony overlooking the beautiful Bellagio pools.